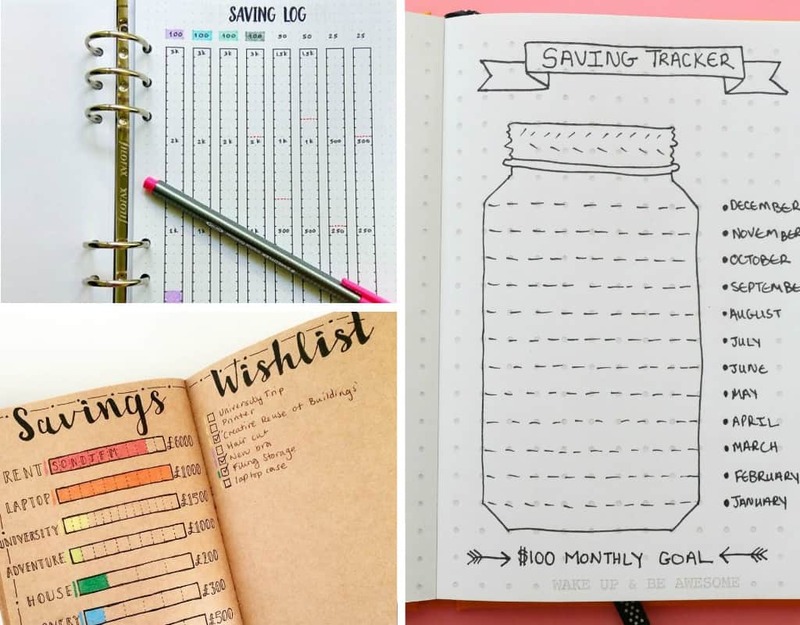 These bullet journal ideas are so brilliant and can help you manage your personal finance better! Keeping track of things that we have to do throughout the day, month or year can be a tough task. 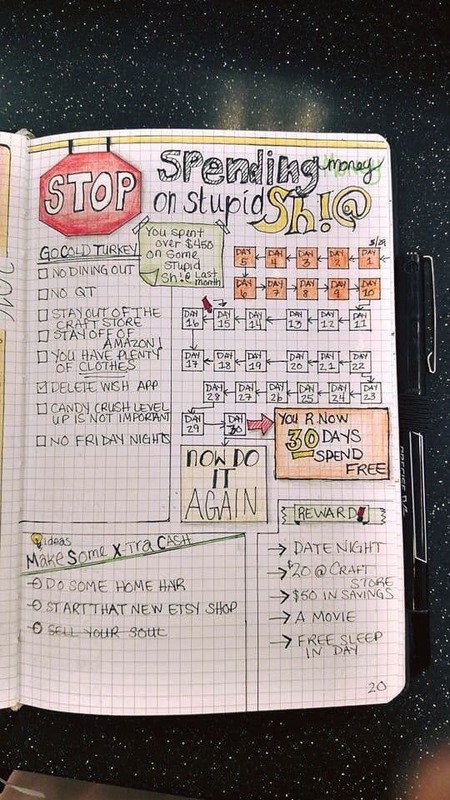 That’s why a bullet journal is the best thing you can start! 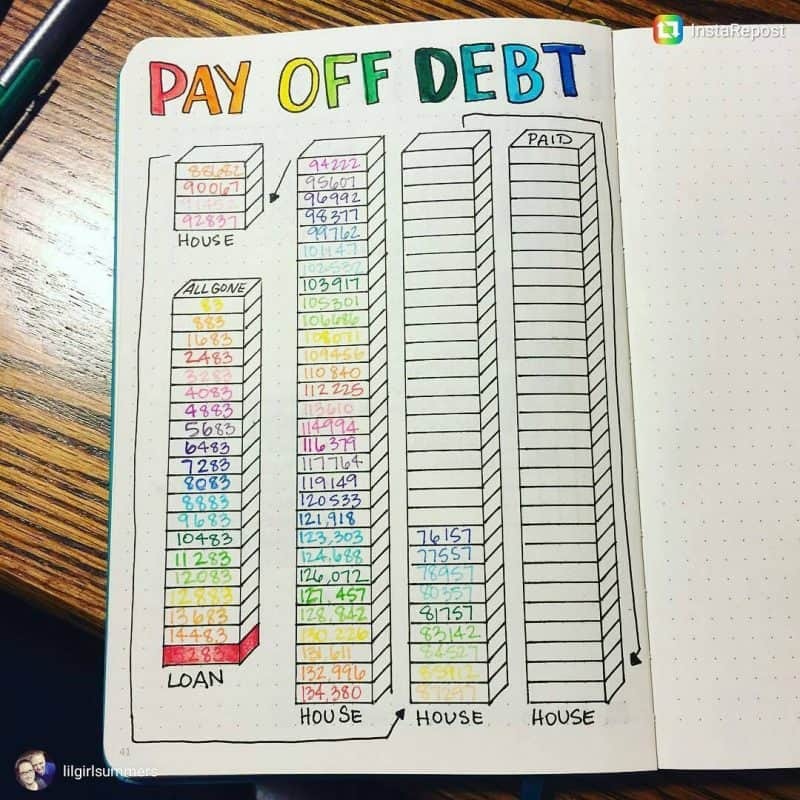 Managing your personal finance is one hard task especially when you don’t keep any track for it. This is why I made this post so that we can learn together on managing our personal finance better and achieve the goals we want. 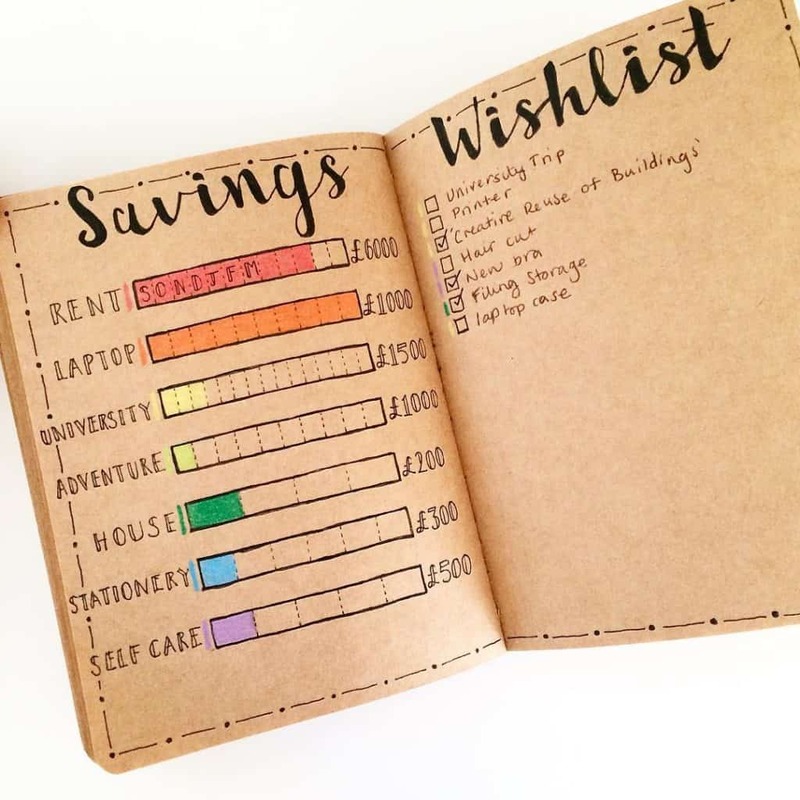 These bullet journal ideas for personal finance are what you need when you need to keep track on your financial situation. 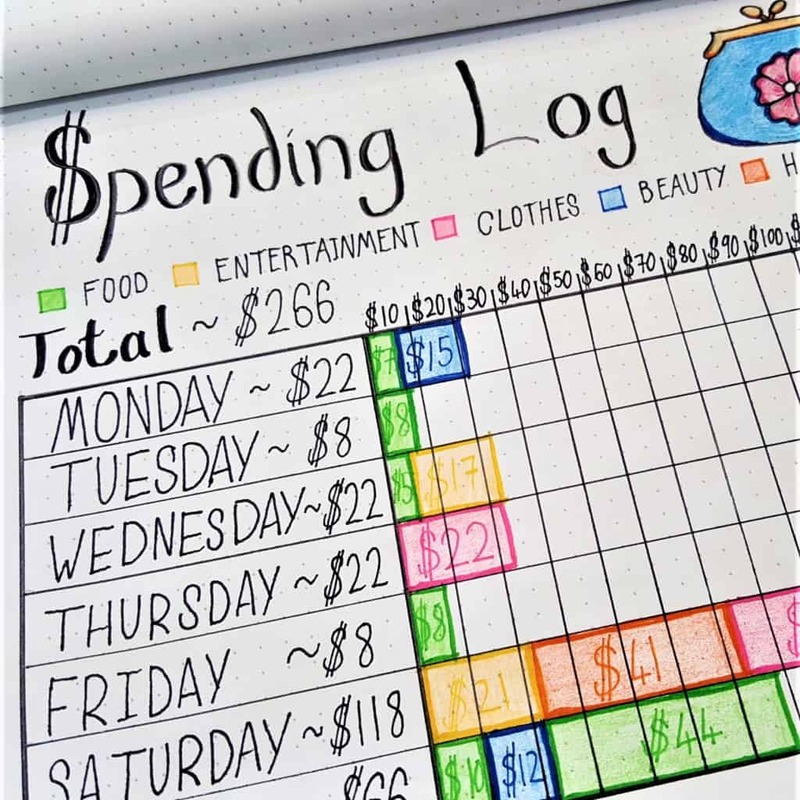 You’ll find just about every essential financial page you need in your bullet journal from tracking your expenses, savings, bills and even your budget planning for the future. Also, don’t stress too much about copying them exactly – just be yourself and let your creativity take charge! It’s personal, after all. This page may contain affiliate links. Read my disclosure HERE. 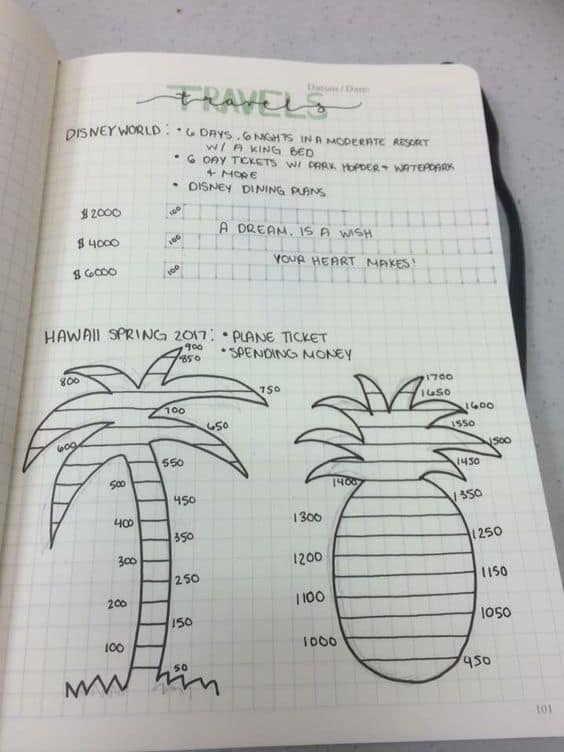 We won’t know how much we spend until we keep track on it. 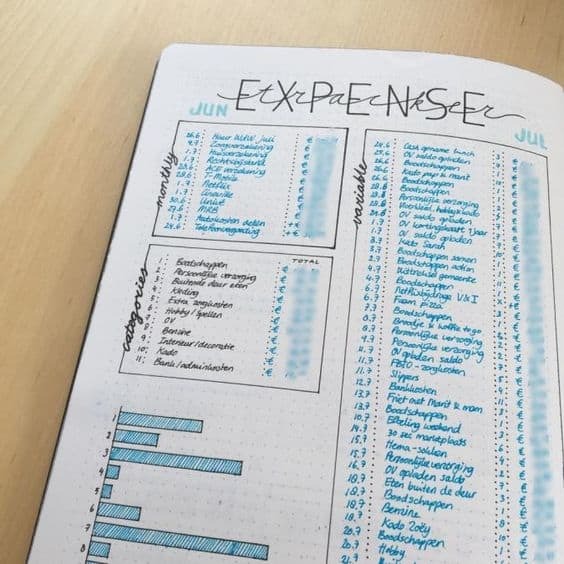 These bullet journal ideas for expenses tracker is all you need to keep your spending on point! #2 Found from Life’s Carousel. Sometimes it’s hard to save money when we don’t keep track on it. 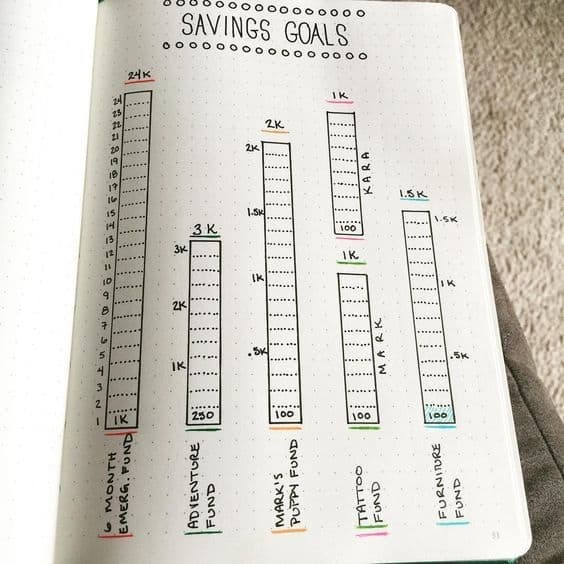 Making a saving section on our bullet journal will definitely help us to manage and do better on saving. 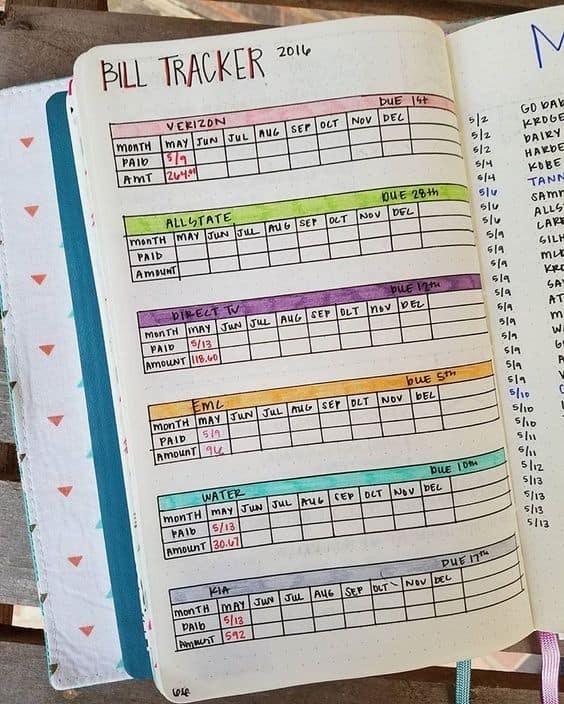 These are the bullet journal ideas for saving tracker. 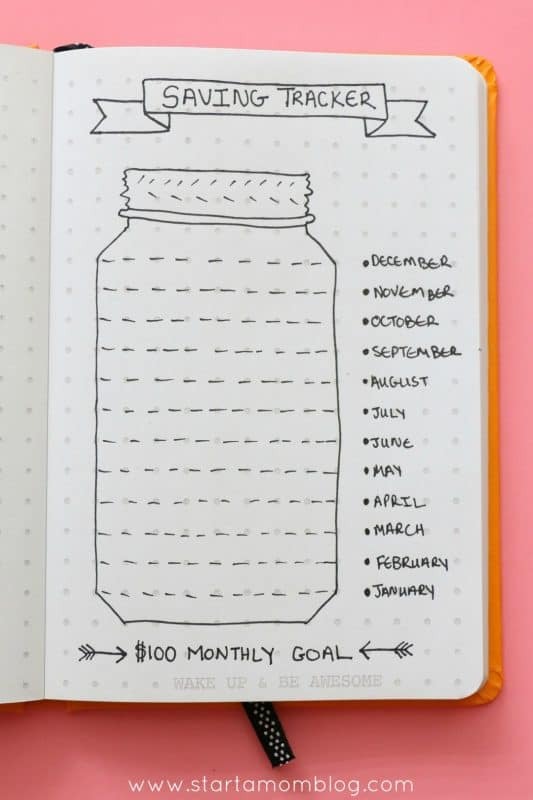 #3 Saving Tracker Jar via Start a Mom Blog. 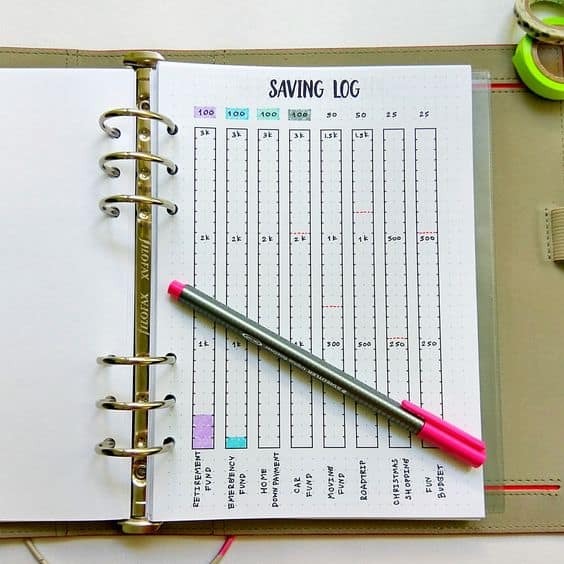 #4 Saving log via Infinite Planner. #5 Saving for Your Next Travel via Pinterest. #6 Found from Productive and Pretty. 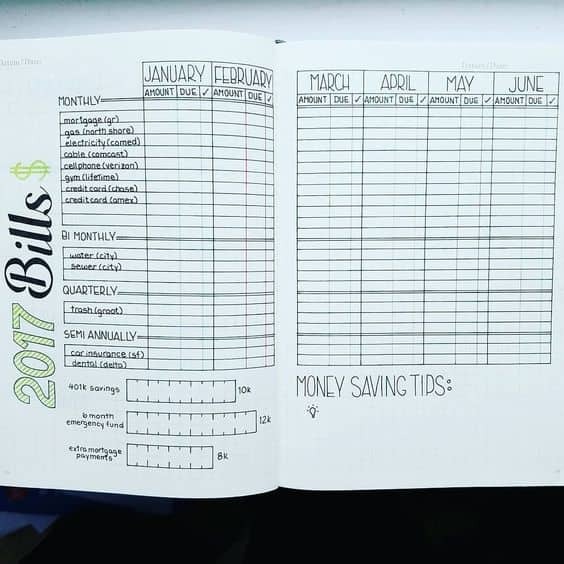 #7 Make a table for each bill via Sheena of The Journal. 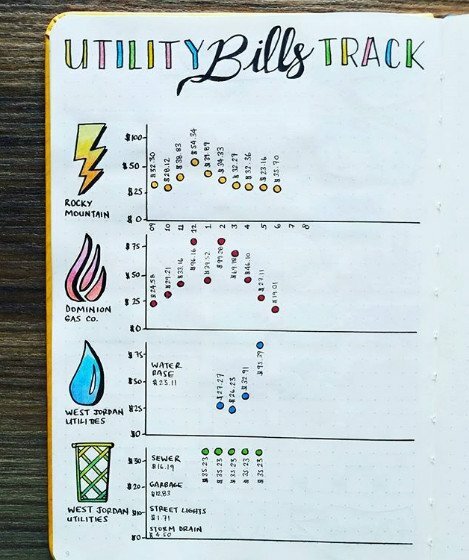 #8 Monthly bill tracker via Instagram. #11 Found from Lil Girl Summers. 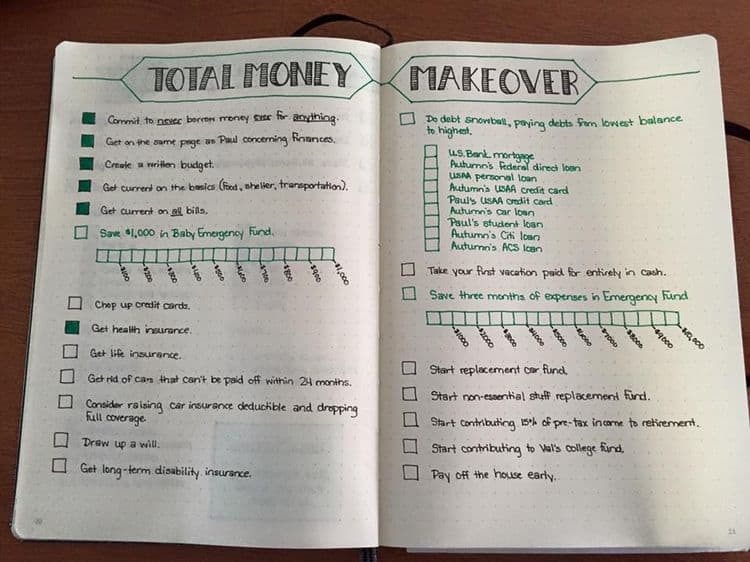 #12 Total Money Makeover via Sheena of The Journal. #13 Savings Wishlist via @painted_illustrated. 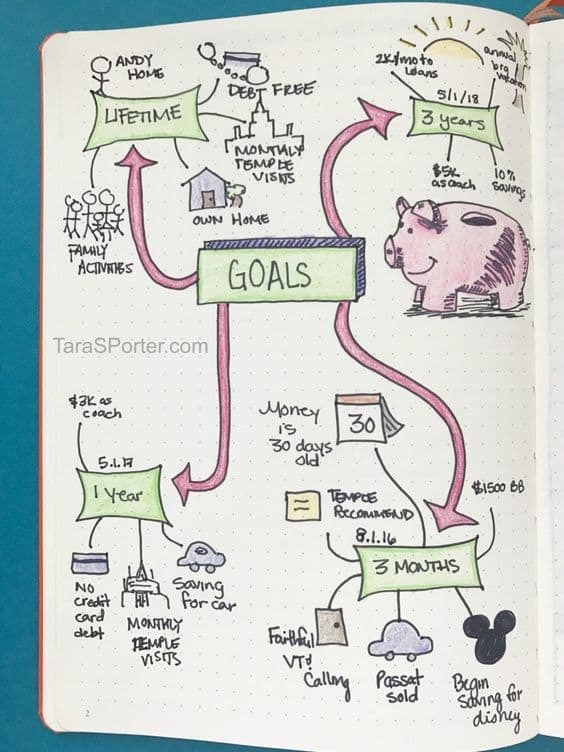 #14 Make Long-Term Goals via Pinterest. #15 Make a warning to yourself via Caroline Vencil. 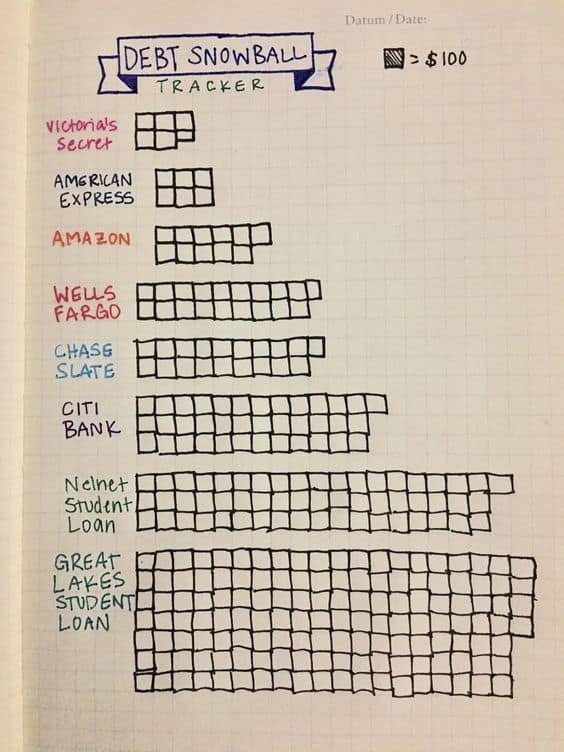 #16 Financial Goals via Pinterest. 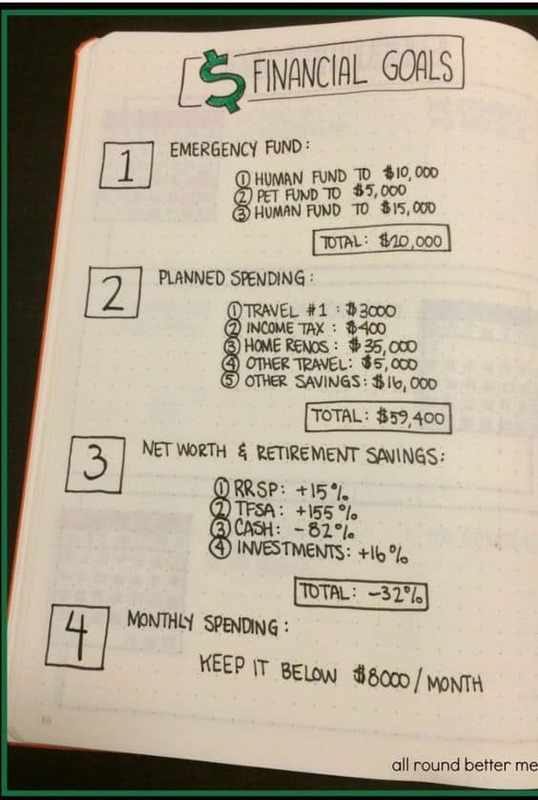 Hopefully, you can apply this on your bullet journal and could help you on your journey of managing your personal finance! Give love to this post by pinning this on Pinterest. Receive access to my FREE Printable Library as a way of saying THANK YOU after signing up as a Newsletter Insider! Hi! Welcome to Live Better Lifestyle where we share tips, hacks, and tricks to help you have a better lifestyle. Occasionally we would share some blogging tips and resources on how we grow our blog. Hope you'll find it useful!